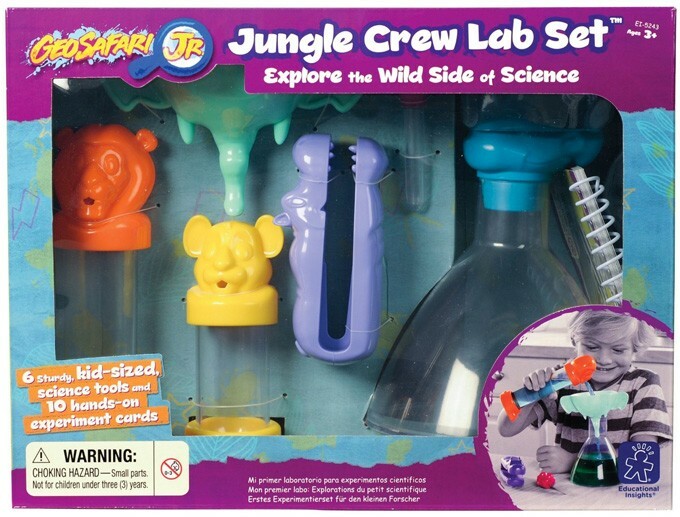 Kids go wild about science with this sturdy, 6-piece, animal-themed early learning science set from Educational Insights. 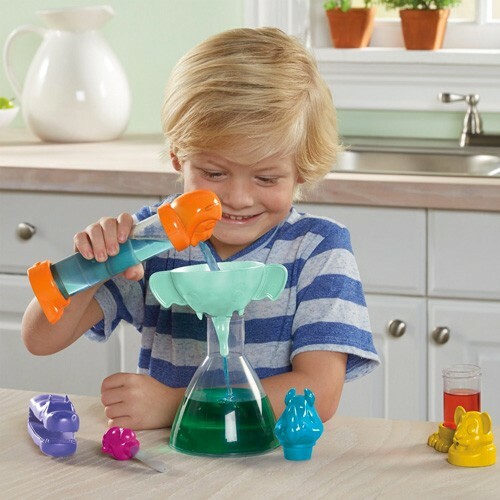 Real science tools get a whimsical twist, engaging young learners in fun, science-learning play, from measuring and mixing to testing and discovering. 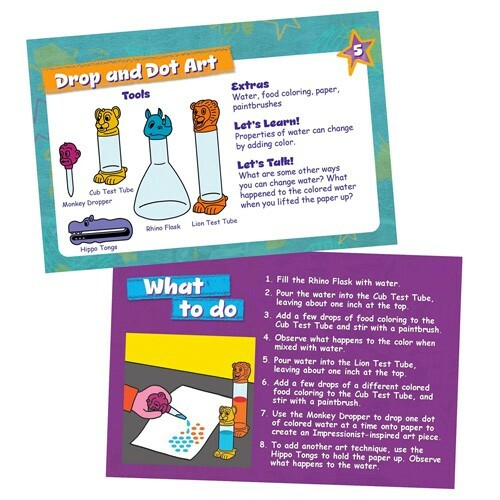 This set includes 10 hands-on activity cards using ingredients found in your kitchen and backyard! 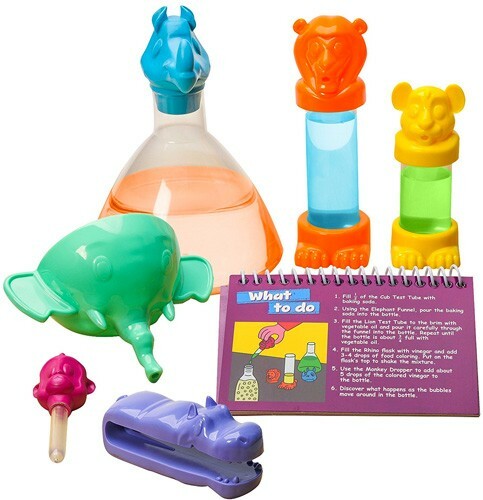 The set includes lion and cub test tubes; a rhino flask; an elephant funnel; hippo tongs; and a monkey dropper.